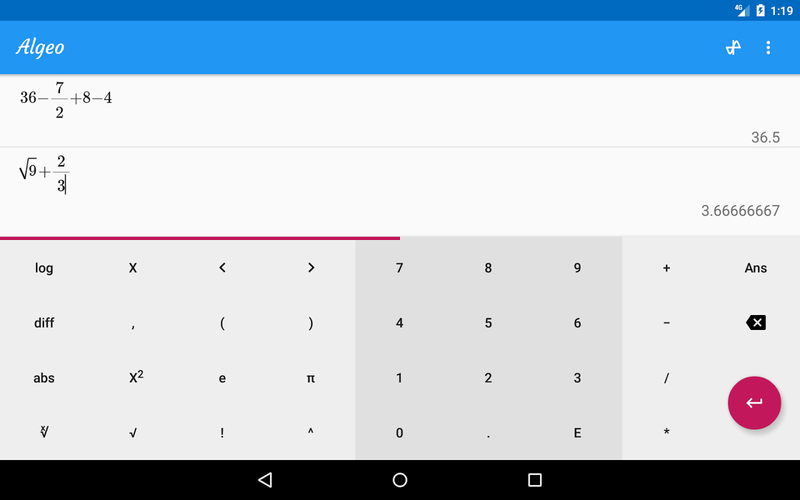 Algeo is the most beautiful scientific graphing calculator available on the Play Store. 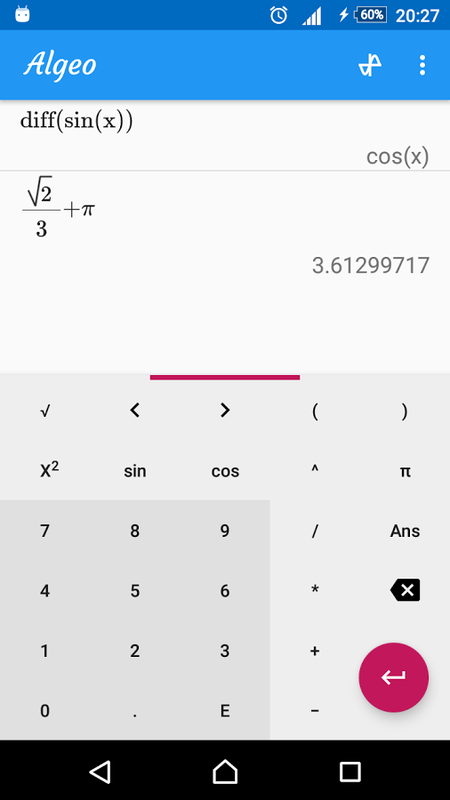 It's fast and powerful and you'll never have to carry around a large physical scientific calculator anymore. 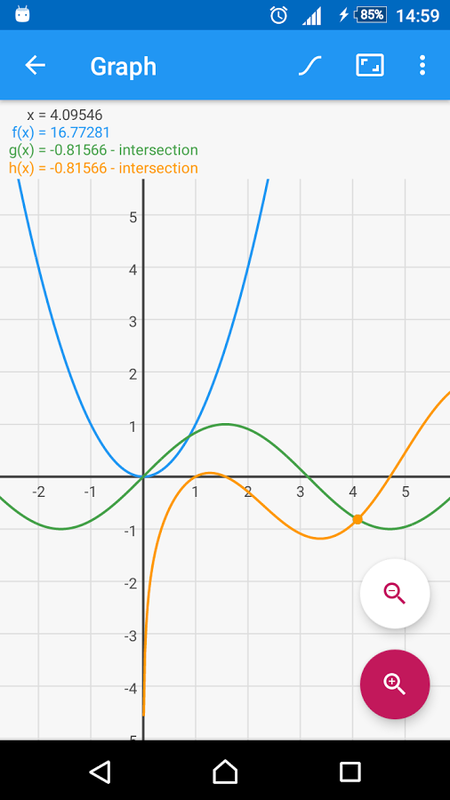 The intuitive interface shows your graphing calculation as you would write it on paper rather than squeezing everything on a single line. And you don't need an internet connection unlike other graphing calculators! Useful for calculus, physics or as a chemistry calculator. If you need help press the Menu button -> Help or send us an e-mail!